BlueSpideyDude...I love Disney and Spiderman, and my favorite color is blue. 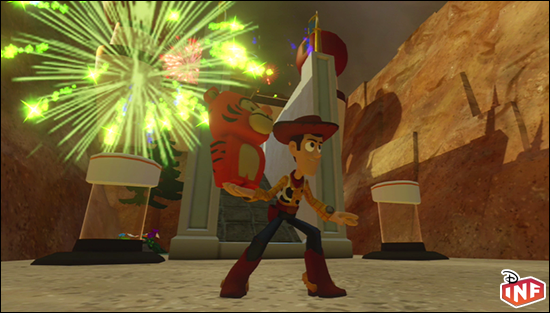 I heard that Disney Interactive was going to release a sandbox game similar to the Toy Story 3 video game, titled Disney Infinity. I am a big fan of that genre of games, and I collect action figures and Vinlymations. So the toy concept seemed cool and appealed to me. I bought the game when it was released. My favorite play set is Toy Story in Space because my favorite Toy Story character is Buzz Lightyear. 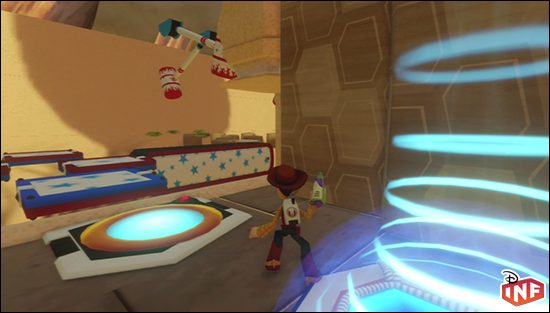 The game being based in space with star command was cool since we saw Woody's Round Up in the Toy Story 3 video game. That play set also has some of the best packs and tools. Sorcerer Aprentice Mickey is my favorite because I watched a lot of Mickey Mouse cartoons when I was younger. I am a big fan of Fantasia especially, and I especially enjoy the Sorcerers Apprentice segment. I can also do a pretty good Mickey Mouse voice impression. 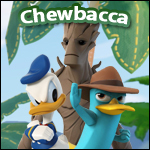 I would like to see Ferb added to Disney Infinity because it's weird only having Phineas and Agent P, but no Ferb. The show is called Phineas and Ferb. Plus Ferb is awesome. I only enter a Toy Box challenge, if it is one that I am interested in. The first step I take is what do I want my toy box to look like. When I have decided the theme, I start building. I always test it to make sure it's possible to make every jump and that every creativity toy works. If I am recreating a castle or palace, I research photos to make them look accurate. Each of my toy boxes usually take 2-3 days to build. My favorite toy box I made is The Pride Lands. My favorite tox box that someone else built is crazybynick's Indiana Jones toy box because it is basically what my toy box would of been like if I had finished it. 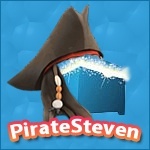 Well a lot of my toy boxes are ones I make for fun, but the toy box that I submitted for the Toy Story challenge and the North Pole challenge did not get selected as a featured toy box. Even though those two toy boxes did not get selected, I had fun building them and that is what counts. 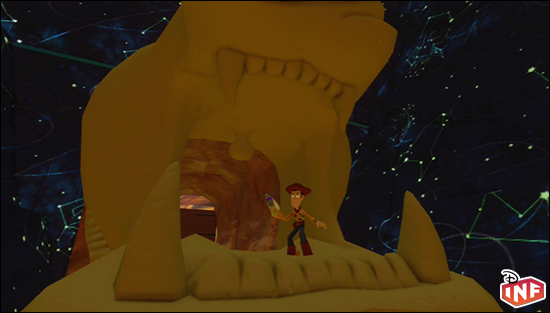 My dream toy box challenge would be a Toon Challenge because I've been working on a ToonTown toy box, and it would be perfect for a challenge of that theme. My Indiana Jones toybox never got submitted because I didn't have time to finish it, and I had a bad case of builders block. I just excepted the fact that it could not be submitted into the Disney Parks Challenge. When I was building my Halloween toy box, I played it and I couldn't beat my parkour and I was thinking who would make something like this, oh yeah me...LOL. ^ You totally sounded like how Yoda backward talks in your reply just then. @SorcererMickey - What does parkour mean exactly? 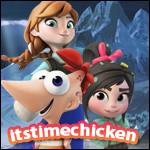 And I agree about Ferb... even though I think Perry is a much better character, it is definitely weird just seeing Phineas building stuff in the toy box... you always kinda expect Ferb to just show up at anytime and help out like he usually does. parkour is basically jumping from blocks to other blocks. 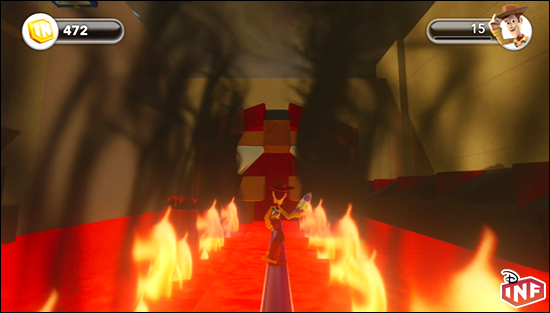 ^ Ahhh... so it basically means platforming level design. 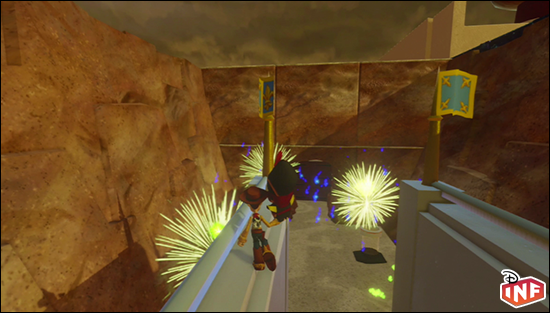 IMO builders who put a lot of difficult jumping into their levels are pure evil. Yah, I'm not good at 3D platformers... even with double jump I am horrible at it... especially when I have to make a quick jump under pressure... I always end up jumping short and falling to my death. So for me the crow pack is like Perseus's sword and helmet... a gift sent straight from the gods.